As I sit here and listen to one of my FAVORITE pandora stations. Madeline Peyroux, Some of the music on this station is sung in what I can only assume to be French, but It’s so incredibly comforting to me even though I don’t have the slightest clue as to what they are singing about. What I can only assume is something magical going on in Paris, maybe walking down an ally way or lying on a blanket under the Eiffel Tower living out a love song, that I will eventually listen too while I blog or while my husband and I cook dinner. Maybe they are sitting in an Apartment in New York, stuffing there face with a pizza. Who Knows. I like to the “Paris Scene” is going on though. These moments I have while I listen to her music are moments I feel secluded and stuck in the moment such as cooking dinner with my husband. I LOVE these moments and they are nothing significant just simple, non-replaceable..moments. Last night we went to hang out with a fellow Game Warden and his girlfriends family ,who has a house on the river here in Junction,Tx. Ugh I fell in love with this house. Standing on the back deck, you would never have imagined you were in the small town of Junction,Tx. Looking off the two layered back deck with an obscene amount of stairs leading down to the river..You feel so small. You see the gorgeous, quiet river sitting FAR below us, hills upon hills in the back ground, trees blowing in the wind with the gorgeous sun and clouds surrounding it all. Walking down the many stairs that lead to the river we have Scott and Tyler (my husband) fishing. Sitting in a chair down by the river watching the guys fish on the gorgeous day I couldn’t help but think its moments like this that though insignificant to most I wouldn’t trade for anything. Meeting fabulous new people and learning about them and just enjoying this beautiful earth God created for us in his perfect image. The thunder clouds began to roll in and the sun began to set ever so perfectly over the river so the trek up the stairs begins. Everyone enjoying a glass of wine (Dr. Pepper for me because I didn’t have my favorite wine and only wine I truly care for) and a plate with a variety of cheese and sausage appetizer. Just going back and forth with different stories and learning more about each other. My favorite of course getting to tell the story of how Tyler and I met and fell in love in 6 weeks and married in 12 weeks. Don’t Judge us. We are not people who make crazy rash decisions. Okay maybe we are but we were madly in love and wanted to be married and so that’s what we did. This year we will celebrate 2 years of marriage. The best and most thankful two years of my life. After what seemed hours of sitting out on the porch swapping stories and getting to know each other better, it was time for dinner! Sitting at the dinner table in this picturesque house we enjoyed a lovely dinner accompanied by great conversations consisting of Martys 10 day Cheyenne pepper, maple syrup and lemon juice (all organic) all mixed with water. ‘ it all she can have for 10 days, GO MARTY! Talking about each of our different holiday traditions, scott’s upcoming fishing tournament and of course our trip to Africa. In the mean time we see the lightning and thunder rolling through the windows that line the back of the house behind the dinner table (me getting more and more concerned because I know our sweet puppies are outside). While all holding hands and saying grace right before we ate I couldn’t help but once again be thankful for this moment. Thankful for this moment that God created. This insignificant, simple, every day occasion, at a new FRIENDS house in Junction, Tx…moment. He always knows what we need in our lives even if we don’t. We have all finished our meals and the rain begins to pour out the sky like horses ready to emerge out of their waiting booths (?) at a horse race!! “Tyler, we HAVE to go…the dogs are outside! !” off we go.. The 5 second run to the truck has completely soaked us both! Finally we are home and we can get the pups and the cat in the house which I believe they are all very excited about. I dry them off, fill Gus’s food bowl and we all head to bed. The dogs are snuggled up on the floor in there over sized dog bed and a fluffy blanket and a toy for brewsky. With the hubby and I snuggled up in our extraordinarily comfortable bed with just my side lamp on, I once again cant help but think how much I love this moment. The rain in pouring down outside and the thunder rolls right along with it. I have my whole family safe and sound in this house we have made a home. I think how lucky we are that Jesus chose us to have such a wonderful life. We HAVE it all because he GAVE it all. In time there will be moments, were you just want to close your eyes tell Jesus…cry out to him how thankful you are. Do it. He deserves it. So, you see what we have here in life are really just a bunch of moments. Moments that wont make history, moments that wont be on the news, in the paper or even in a magazine. Moments that, past this moment probably wont even ever be talked about again. Moments picking your baby up in the morning out of their crib, moments waking up to the love of your life, moments listening to jazz music while cooking dinner for your family, moments playing hide and seek with your kids, intimate moments with your loved one, moments having alone time…moments talking to Jesus. Jesus provides these, he continues to provide these. So when you sit back and realize how amazing your life is, give Him thanks. And if your moments are not as fulfilling as you would like them to be ask Him to change that. He is the only one that can. Yesterday Tyler and I spent the evening getting to know strangers who are now friends and it was a simplistic wonderful moment. 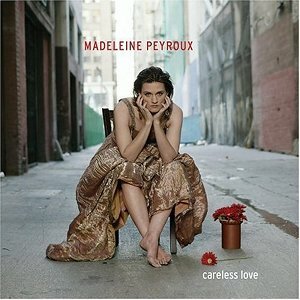 This is Madeline Peyroux, doesn’t she look just like you would imagine a Jazz singer who takes you to another world, would look.